At the seventh international conference in the INSS annual series "Security Challenges of the 21st Century," Defense Minister Lt. Gen. (ret.) 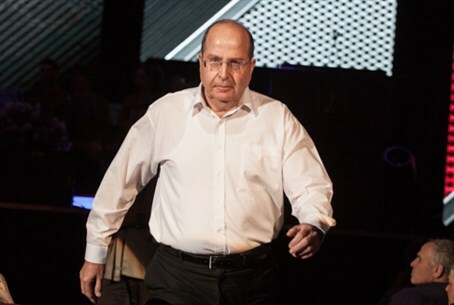 Moshe Yaalon said that the current situation in the Middle East brings with it not only risks but also opportunities. This assessment underlies Israel's security policy. According to the Defense Minister, the Middle East is now experiencing in the collapse of artificial colonial nation states. The model of a nation state does not work in tribal states like Libya, nor does it work in sectarian societies. Israel would like to see democracy all around it, but democracy is not just elections, as evidenced by the rise of Hamas or the Muslim Brotherhood in Egypt. In this complicated political environment, said the Defense Minister, the US is still the superpower in the region, but it has encountered many challenges in the region and seeks to be less involved. The lack of US involvement delivered Iraq to Iran, and allowed Russia to play a prominent role in Syria. It also leaves the window open to new players, he explained. Iran, which is working to reach the nuclear threshold while negotiating with the international community, is now more of a key player in the region and is under less pressure. In Syria, Iran is part of the problem and it supports the brutality of the regime. Iran is a key source of instability in Afghanistan, Iraq, Syria, Yemen, Bahrain, and Gaza. It is the number one threat to stability in the Middle East and the world, he stated. In Syria, de facto instability and partition is a looming reality, while the regime brutality continues and there is more internal fighting, Yaalon went on, but added that Israel will not intervene “unless our red lines are crossed,” meaning an attack on Israel or the transfer or use of chemical weapons. Israel does deliver some humanitarian assistance to villages on the border with Syria, Yaalon noted.